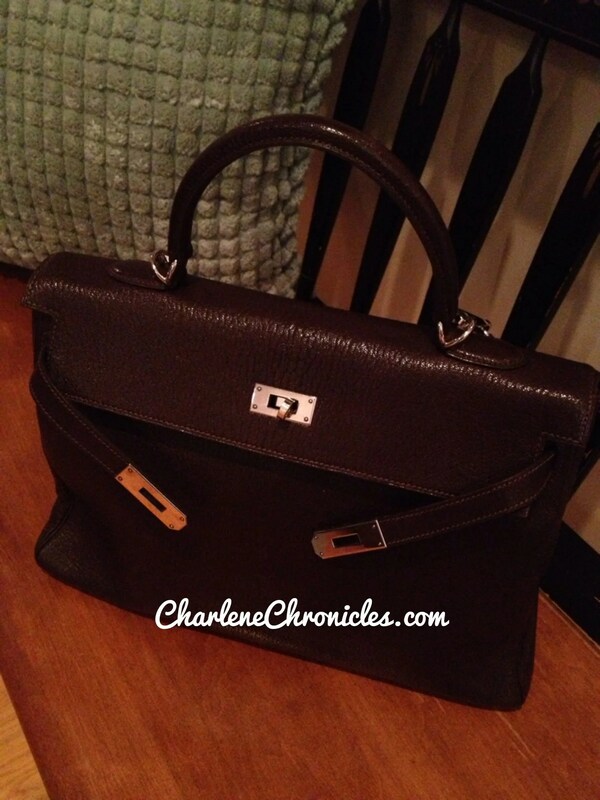 A lot of people forgo the Hermes Kelly bag because it is hard to get in and out of it. Frankly, it is not that bad, though it is not as simple as zip purse or an open Birkin. However, if you are wondering what the Hermes Kelly looks like open and how to wear the Kelly open, then here are some pictures to consider! One way is to just close the flap and turn the kiss lock, but leave the straps undone. This works, but just know that long term, you don’t want to carry the bag this way. It puts a lot of pressure on the lock when you carry the bag. Short term, it’s cute. 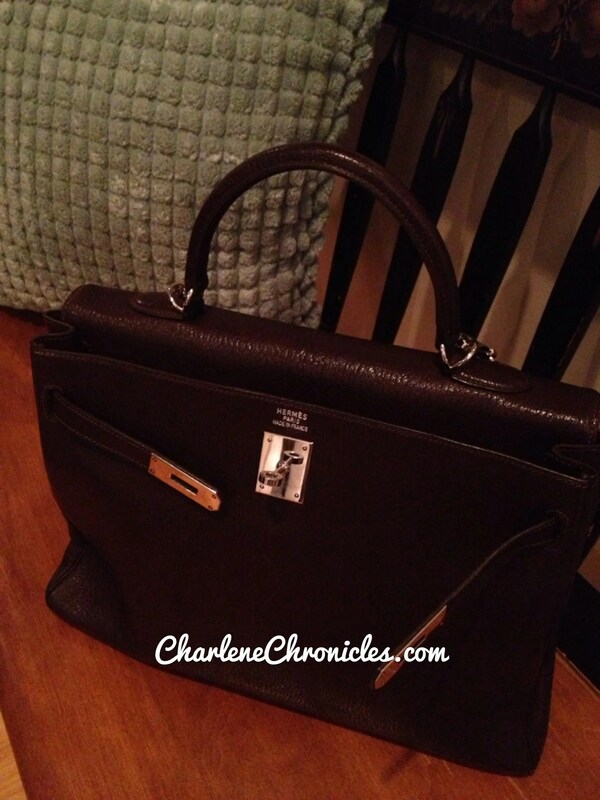 Another way is to tuck in the flap so the Hermes logo shows, and leave the straps undone. Same long term concerns apply in that it puts a lot of pressure on the handle and may cause extra wear and tear near the o-rings on each side of the handle and the leather surrounding it. But is is a cool, short-term, look. Another way is to tuck in the flap so the Hermes logo shows, like above, but this time pull in the straps and turn the kiss lock. It takes pressure off the handle but it does put pressure back onto the kiss lock, but it is a fun look to sport on occasion. 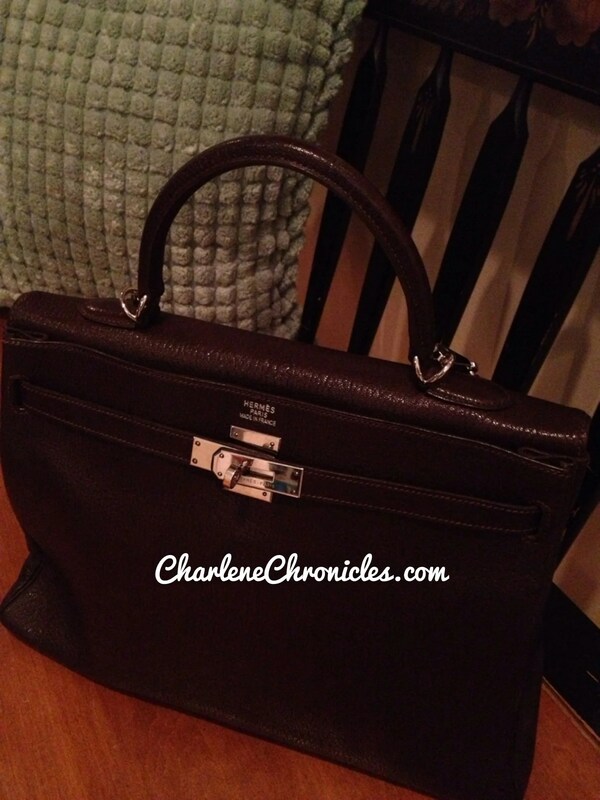 The Hermes Kelly is not that hard to open and close as you can see from my video, but these are three ways you can wear the Hermes Kelly open and avoid some of the hassles that the Hermes Kelly closed may bring! Want to know more about the Kelly? See my other post here!